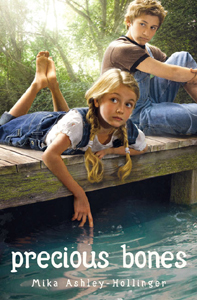 Recently Cleo from Jack and Jill magazine sat down with me to talk about Precious Bones and my life growing up in the swamp! Read the interview. They also posted a nice review of the book. Living in Hawai’i makes it impractical for me to visit all the schools I want to visit. Therefore, I am now scheduling author visits via Skype! It is a great opportunity for students to hear firsthand what is real, what is story, and how I turned my own childhood – much like that portrayed in Precious Bones – into the inspiration for my book. For more information regarding Skype visits, click here. I am also available locally (Hawai’i) for in-person visits to schools and libraries. Email me for more information. 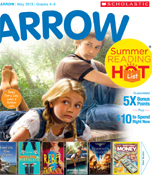 Precious Bones was featured on the cover of Scholastic’s May 2013 Arrow Book Club for grades 4-6 as part of its Summer Reading Hot List! It’s thrilling to have the book available as a Scholastic Book Club edition. The wonderful Random Acts of Reading ran this interview in early May 2012, and they gave away copies of the book! http://randomactsofreading.wordpress.com/2012/05/02/10-questions-with-precious-bones-author-mika-ashley-hollinger/.